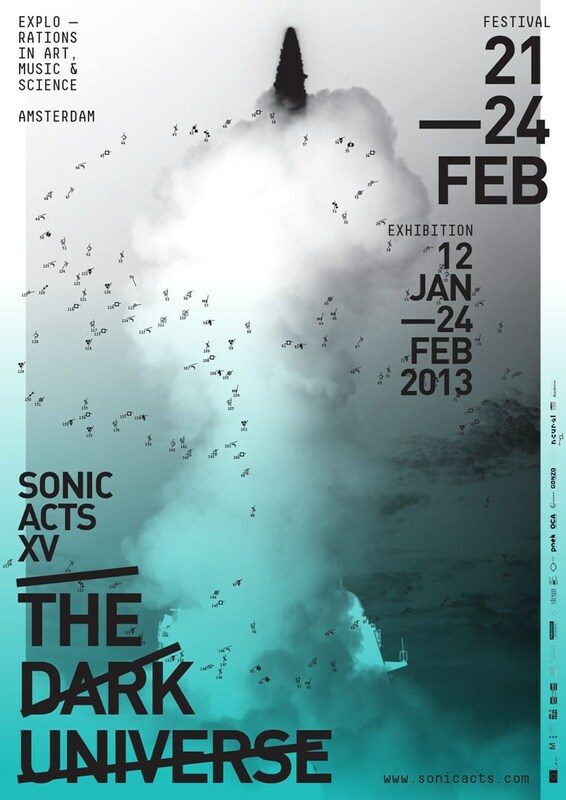 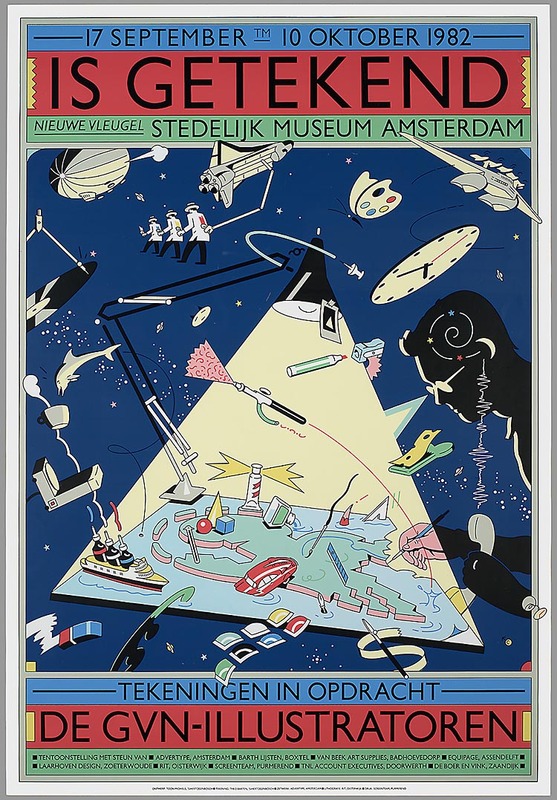 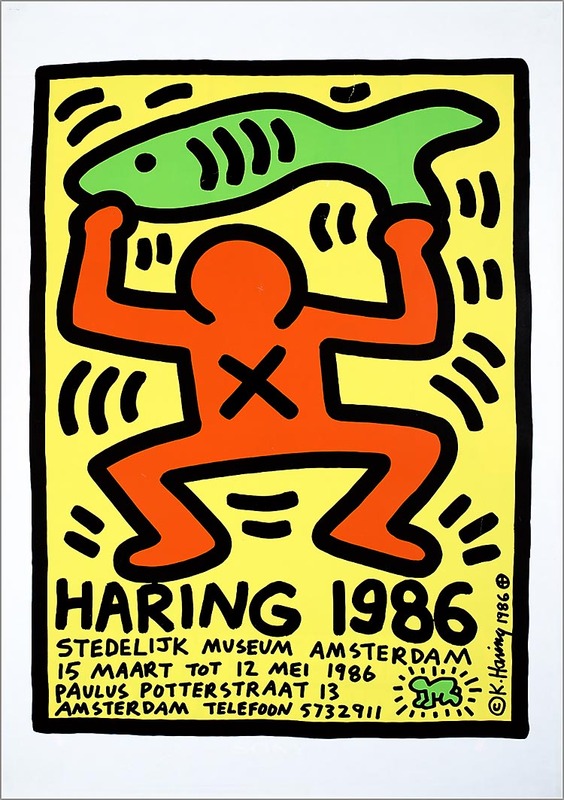 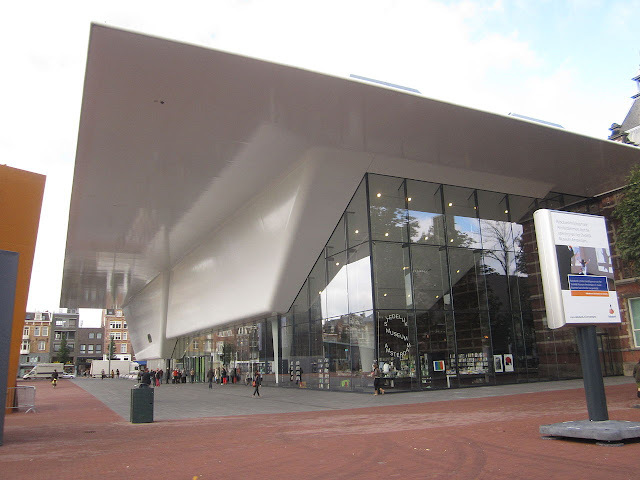 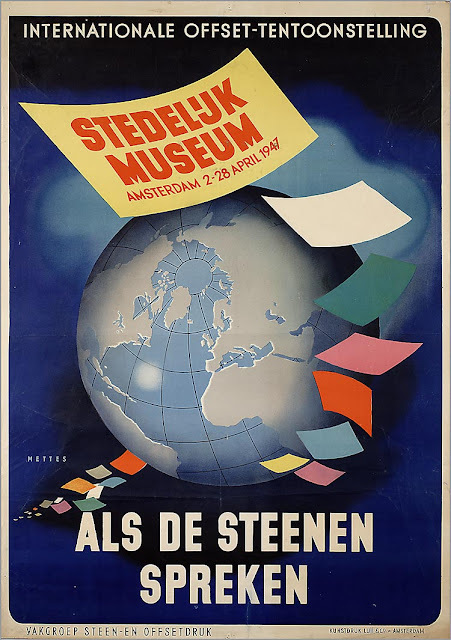 The Stedelijk Museum Amsterdam is a museum for modern art, contemporary art, and design in Amsterdam, Holland. It is located at the Museum Square in the borough Amsterdam South, close to the Van Gogh Museum, the Rijksmuseum, and the Concertgebouw. 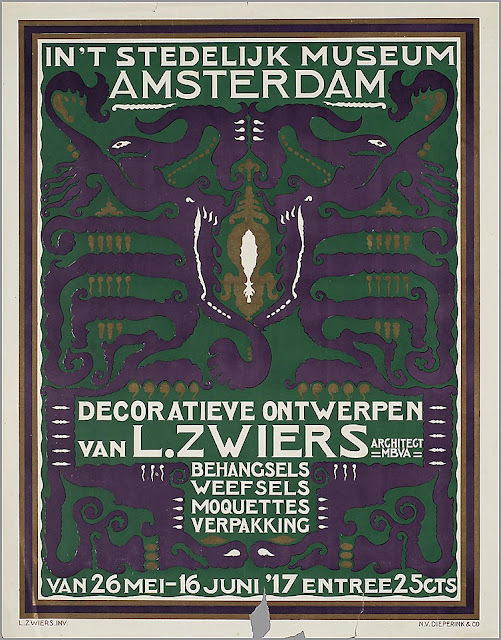 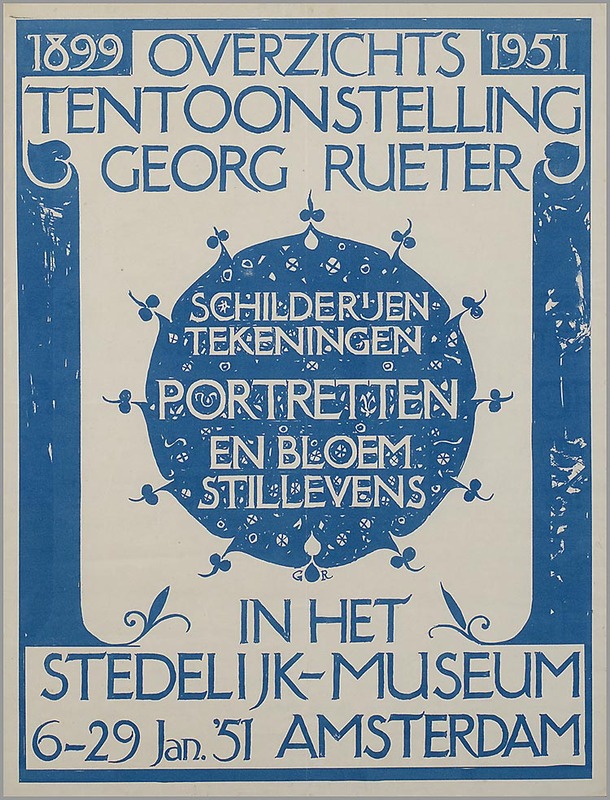 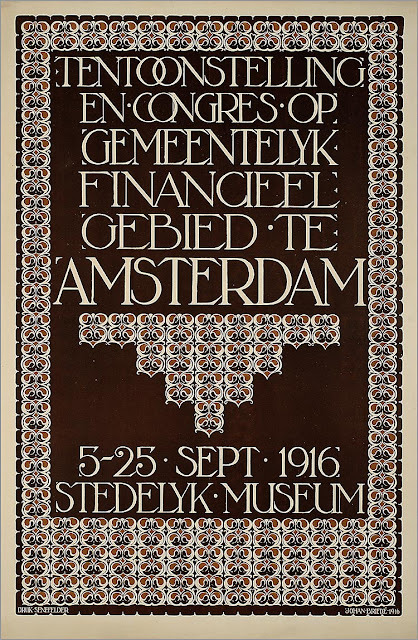 The Stedelijk was founded in 1874, housed in the Rijksmuseum. The museum's own building opened its doors in 1895. 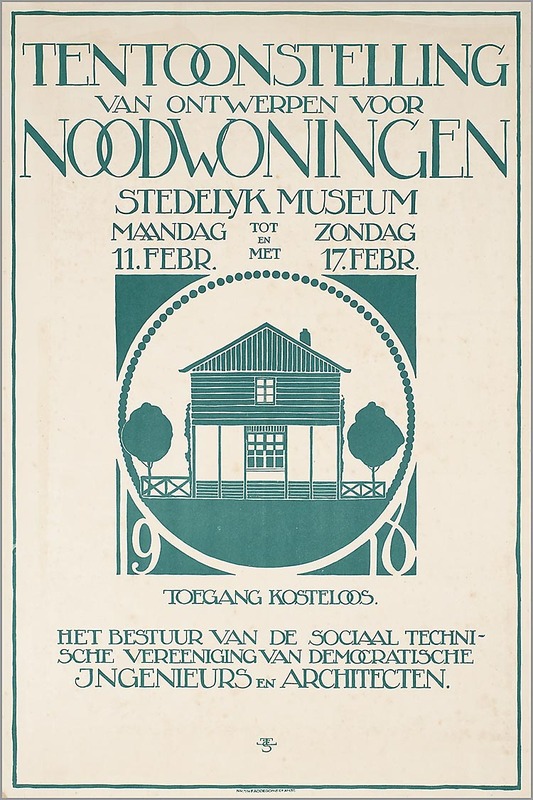 The Neo-Renaissance building designed by architect Adriaan Willem Weissman. 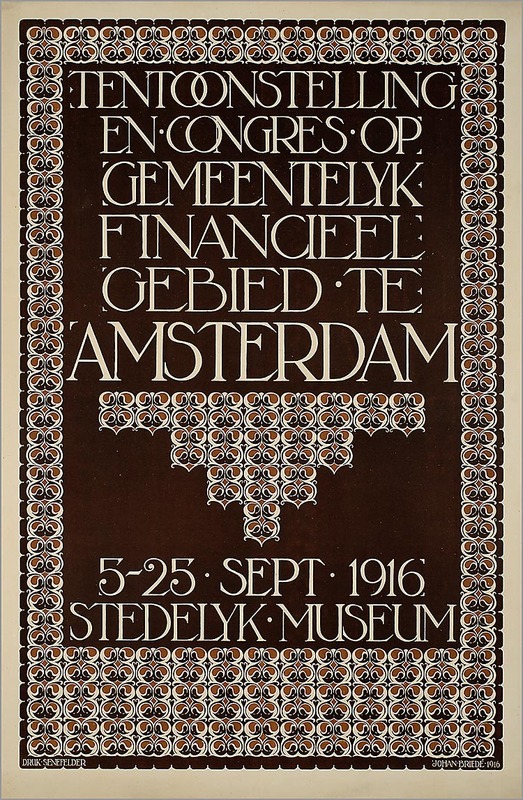 The construction was financed by dowager S.A. Lopez Suasso-de Bruyn and the heirs of the merchant banker C.P. van Eeghen, among others. They bequeathed their collections to the museum. 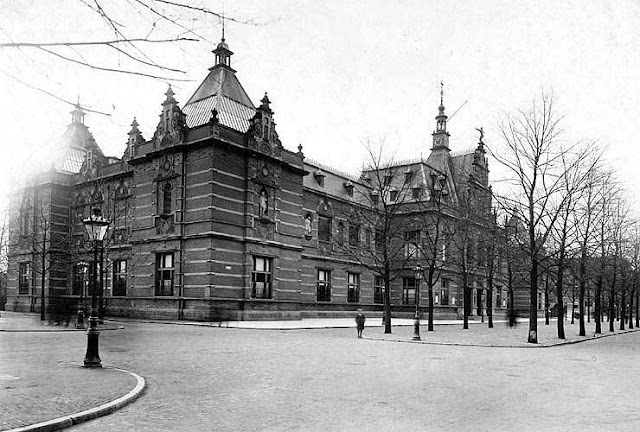 The building housed a number of collections including militaria of the Amsterdam militia, Asiatic art, the Museum of Chronometry and the Medical-Pharmaceutical Museum. 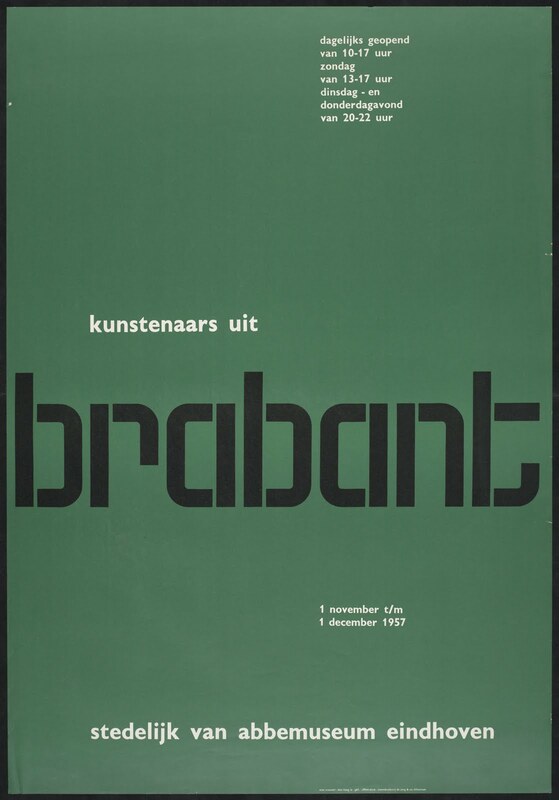 The Association for Forming a Public Collection of Contemporary Art also regularly held exhibitions here. Between 2003 and 2012, the building was again renovated and a new wing designed by Benthem Crouwel Architects was added. 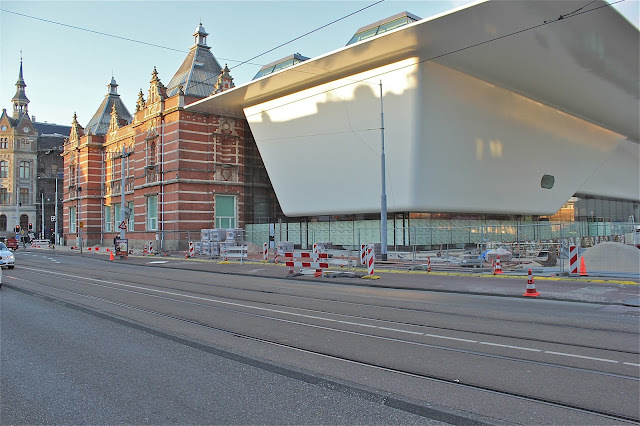 The museum was reopened for the general public in September 2012. 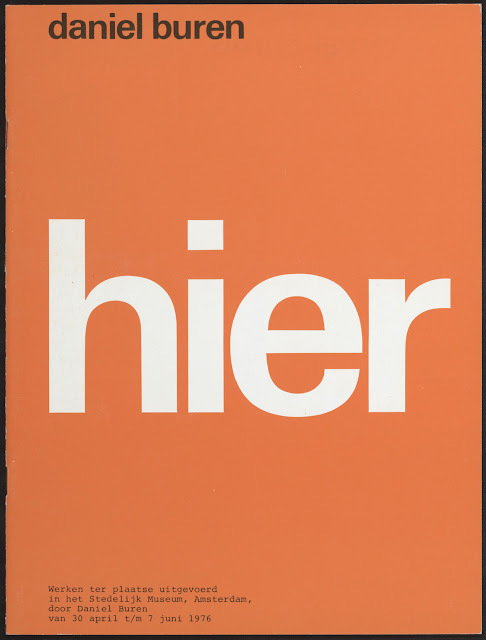 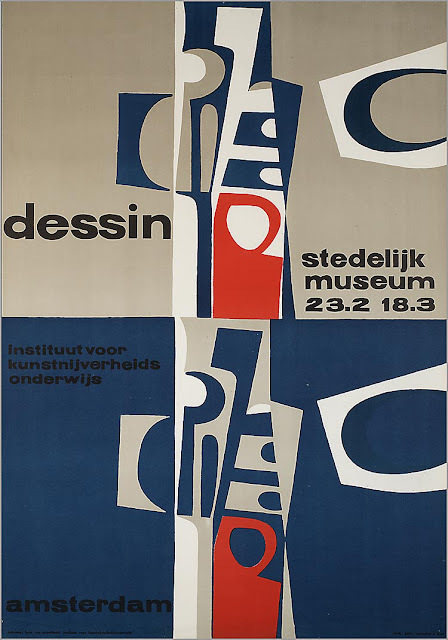 The collection comprises modern and contemporary art and design from early 20th century up to the 21st century. 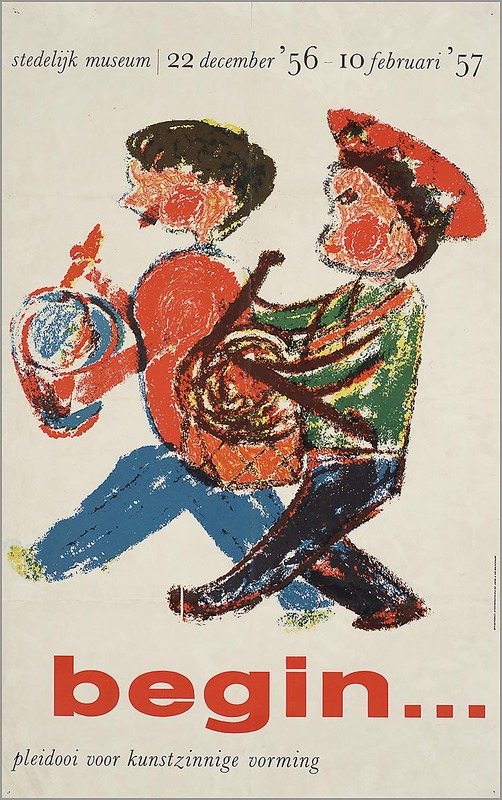 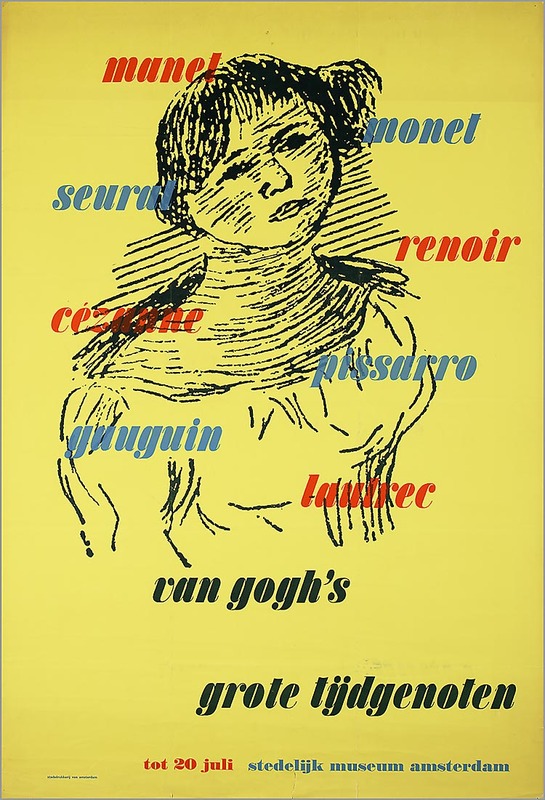 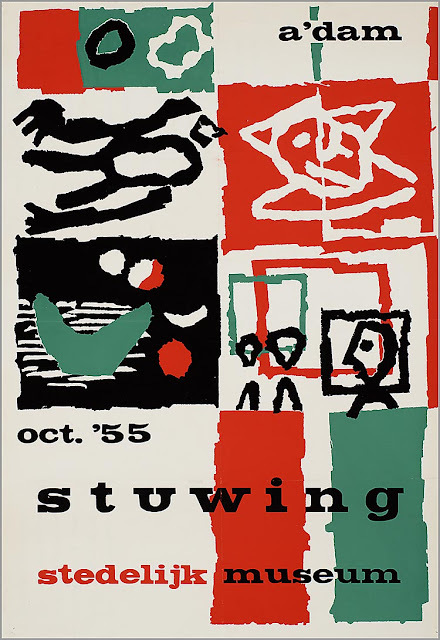 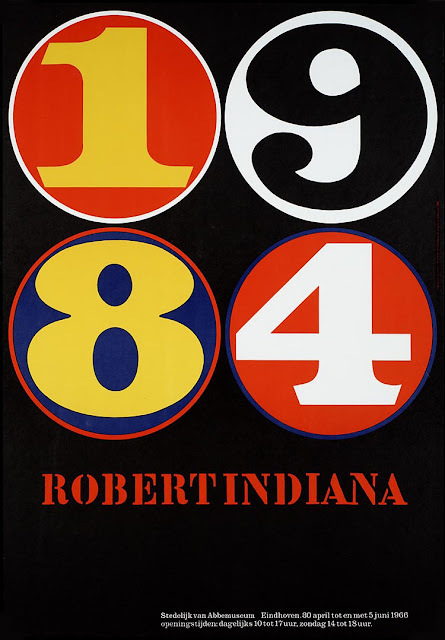 It features artists such as Vincent van Gogh, Wassily Kandinsky, Ernst Ludwig Kirchner, Marc Chagall, Henri Matisse, Jackson Pollock, Karel Appel, Andy Warhol, Willem de Kooning, Marlene Dumas, Lucio Fontana, and Gilbert and George. 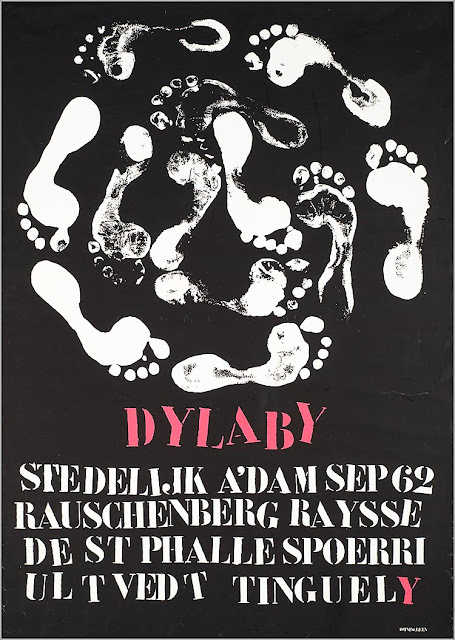 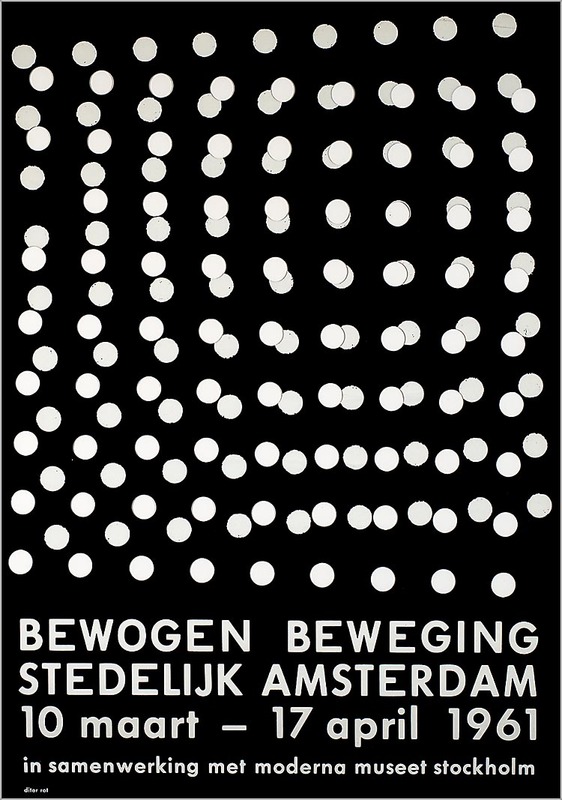 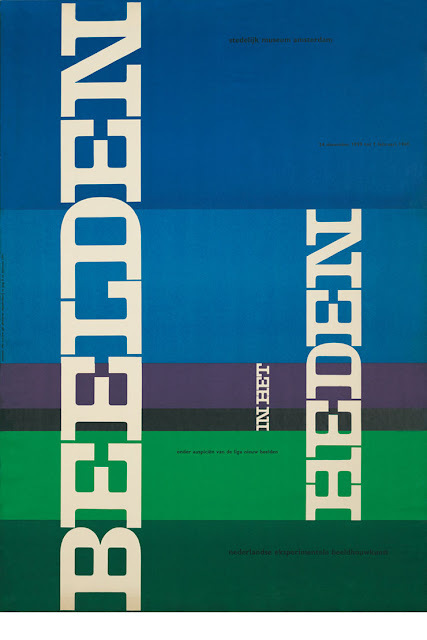 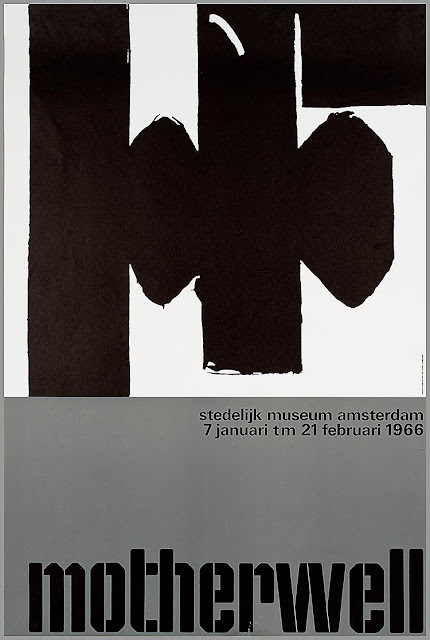 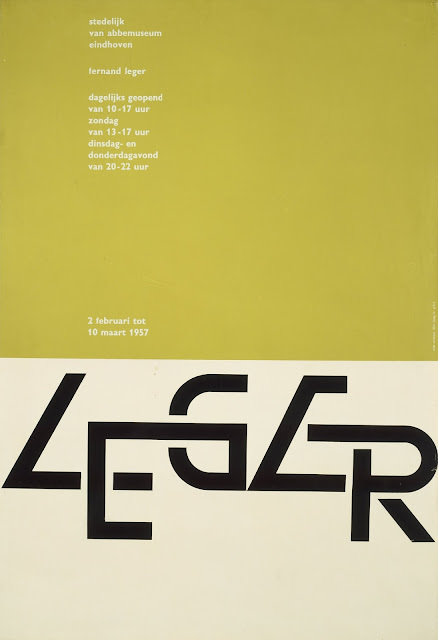 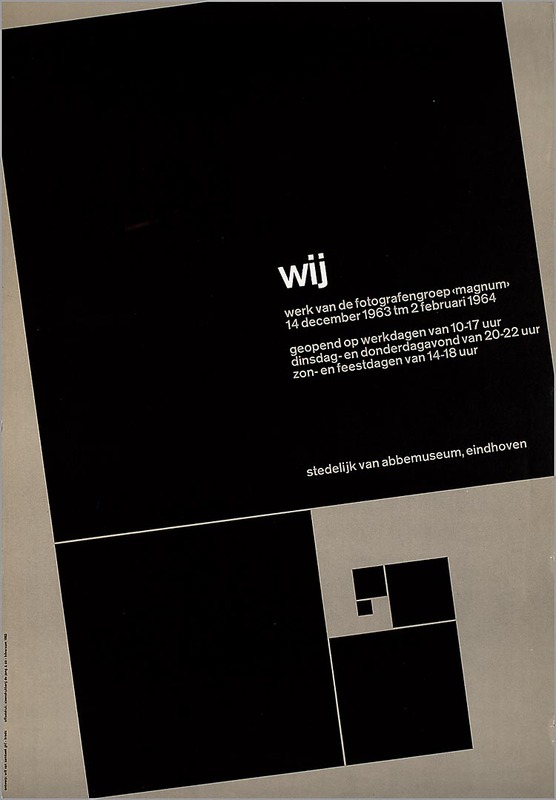 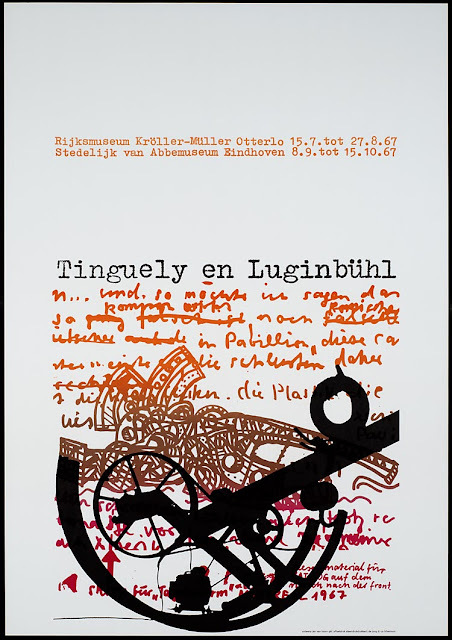 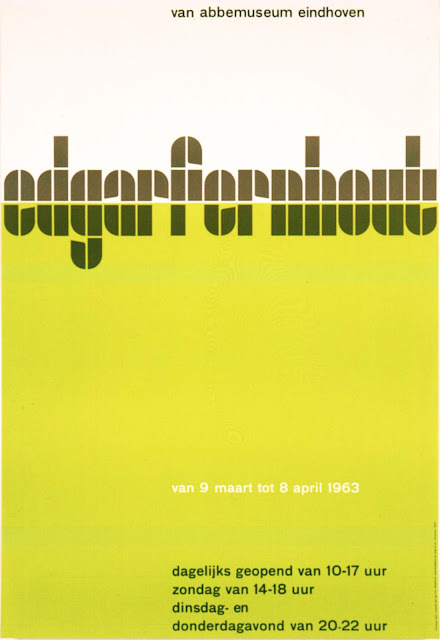 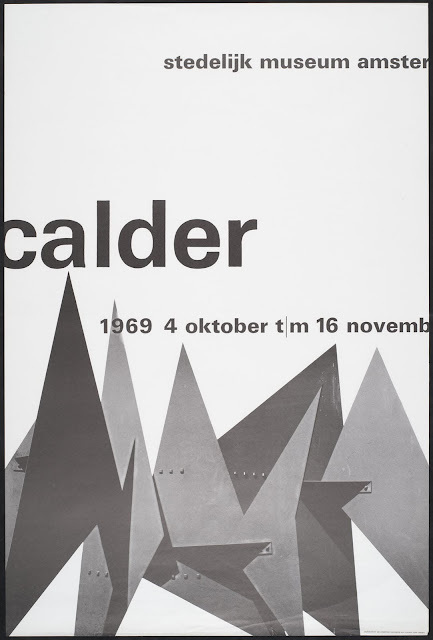 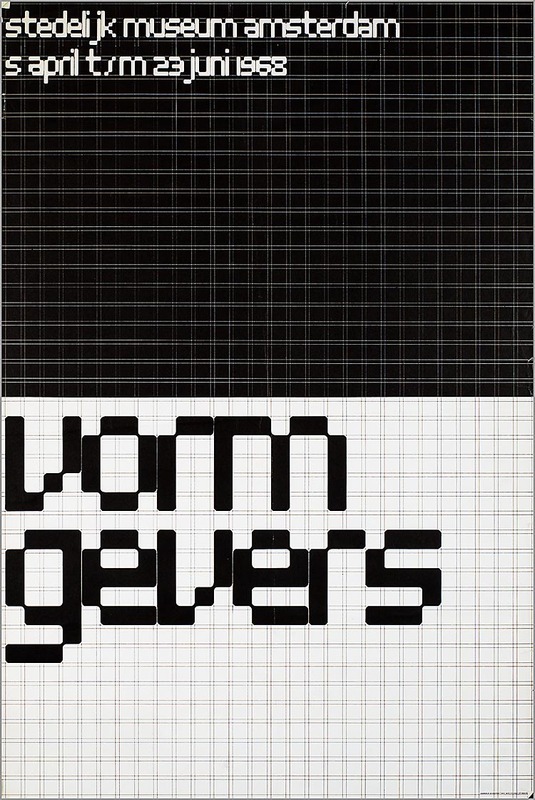 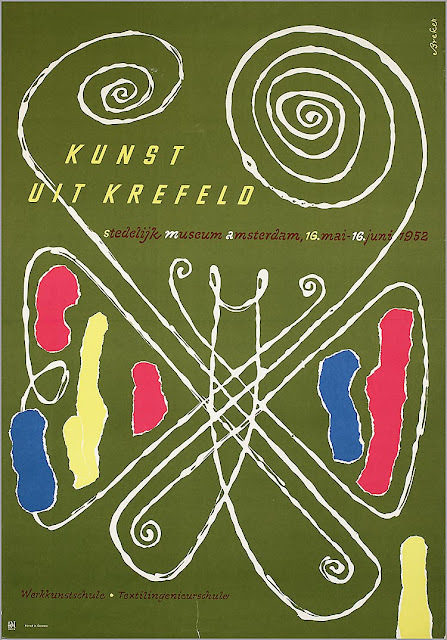 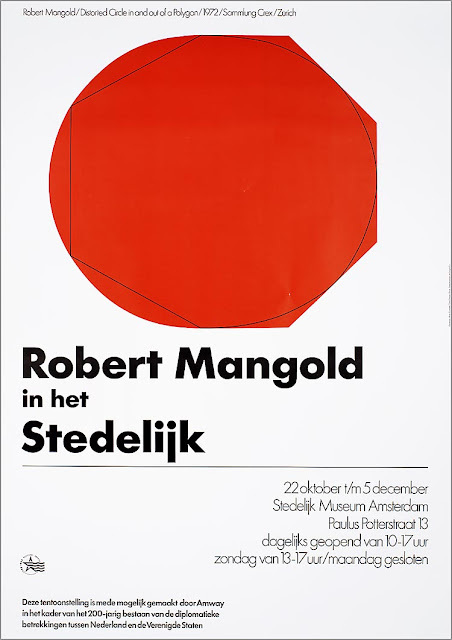 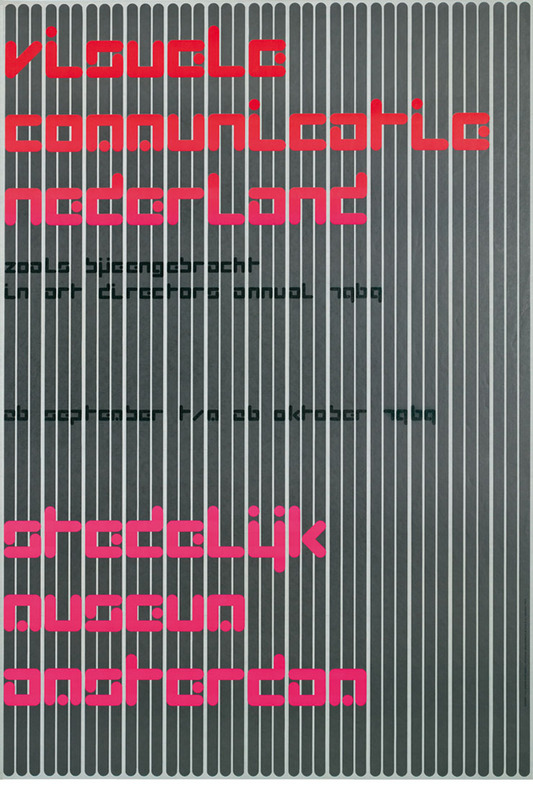 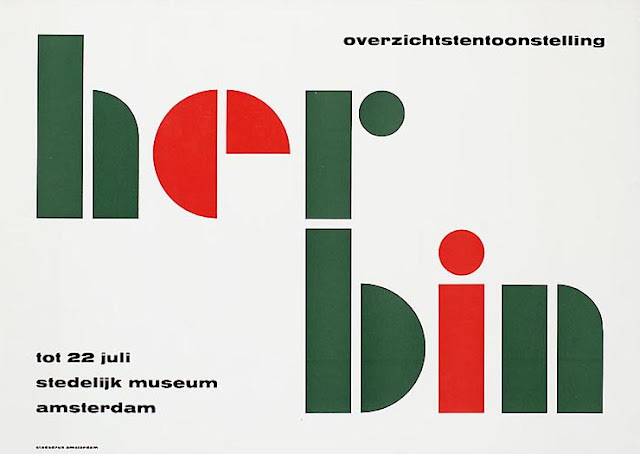 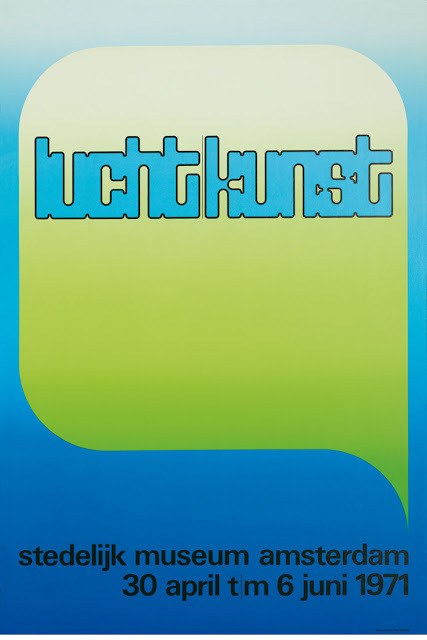 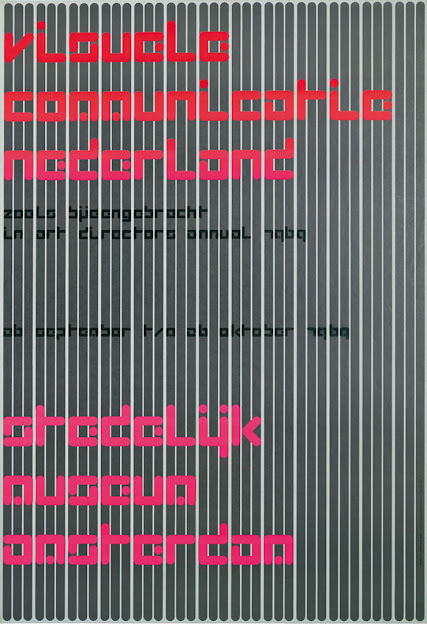 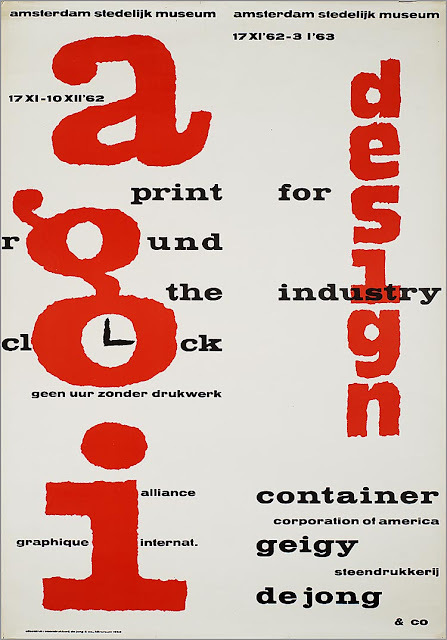 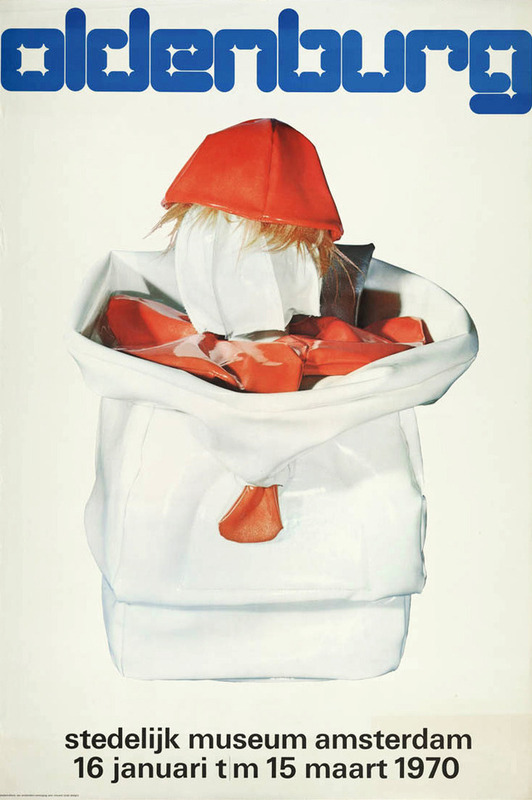 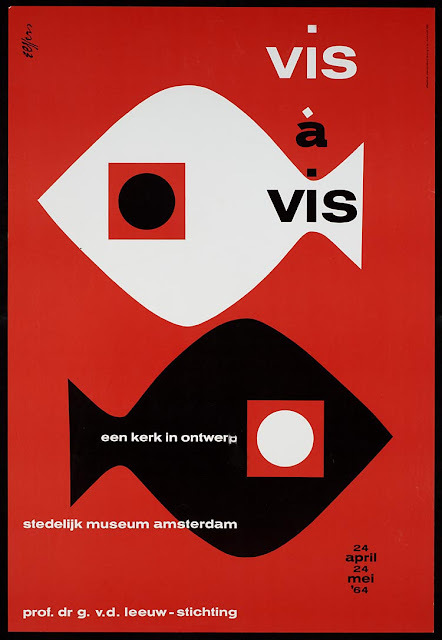 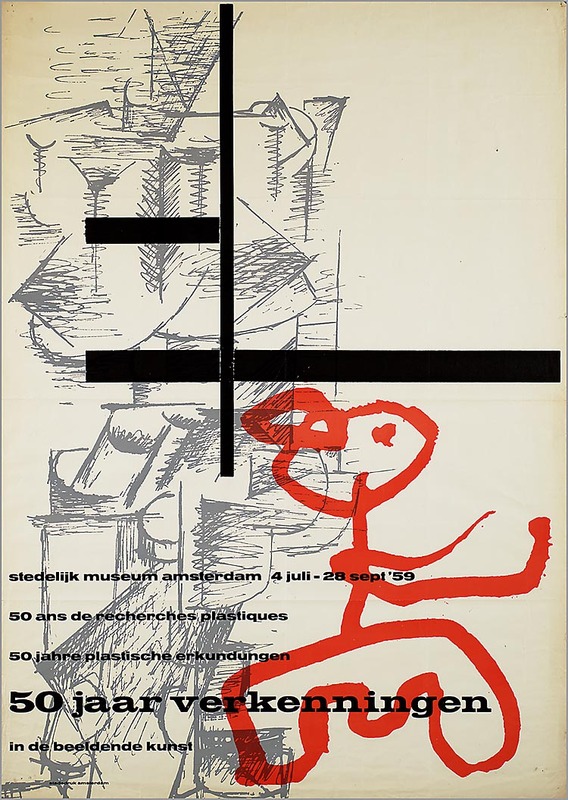 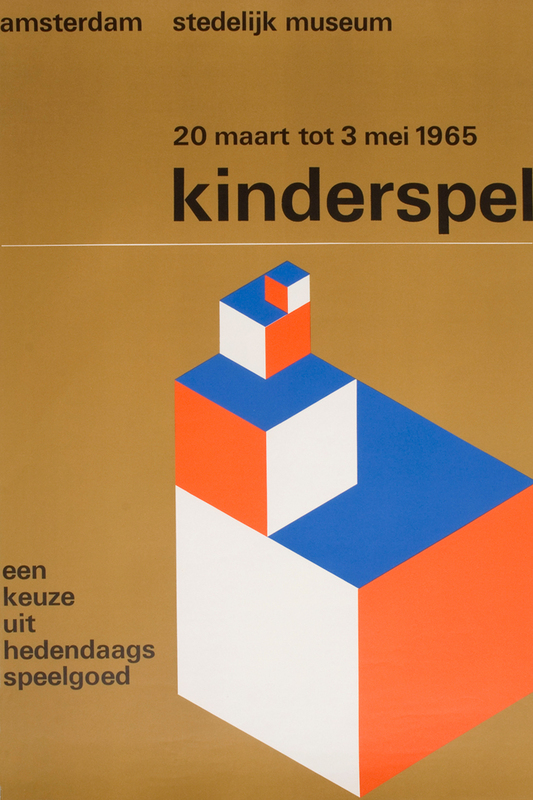 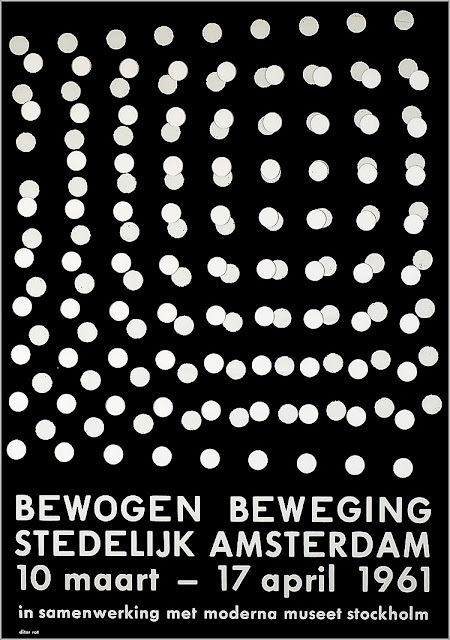 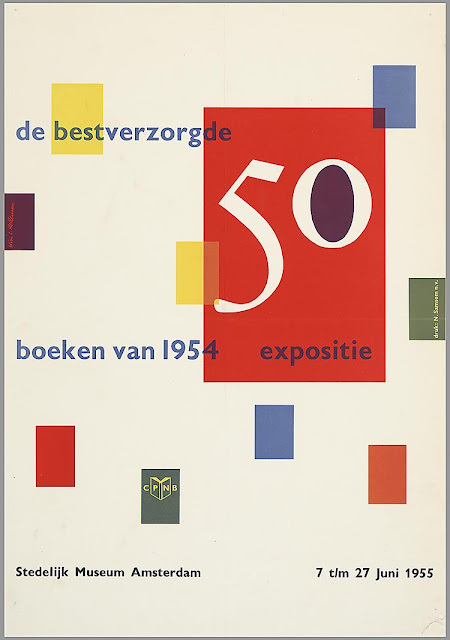 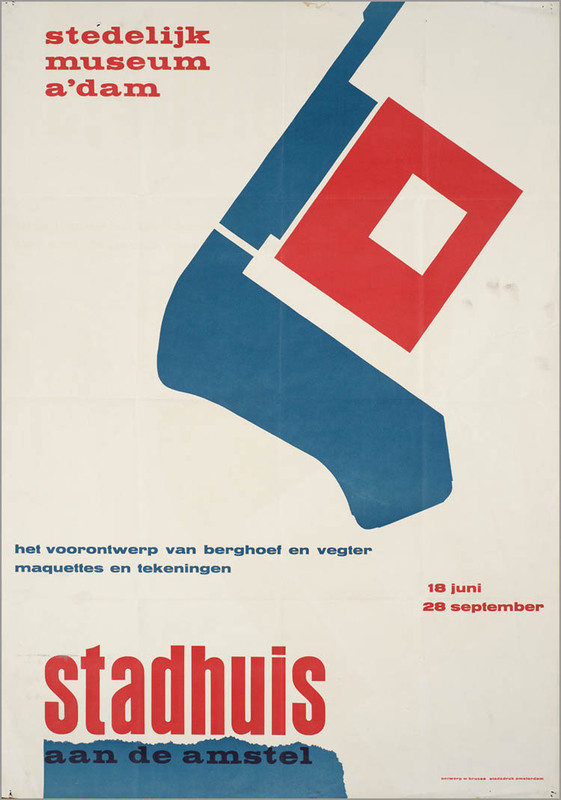 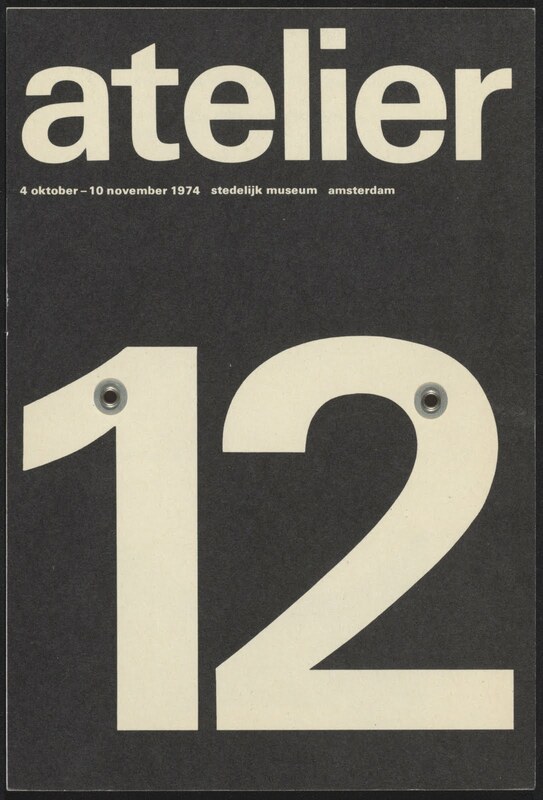 1962 Stedelijk Museum Amsterdam. 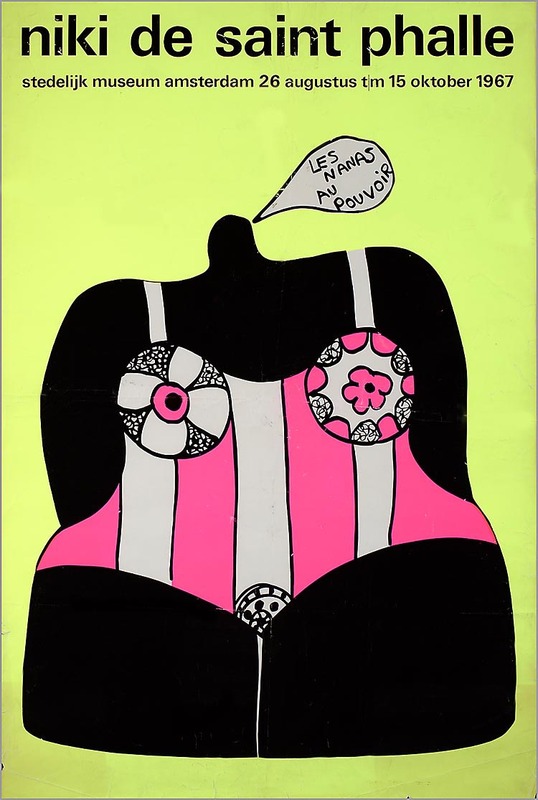 Dessin. 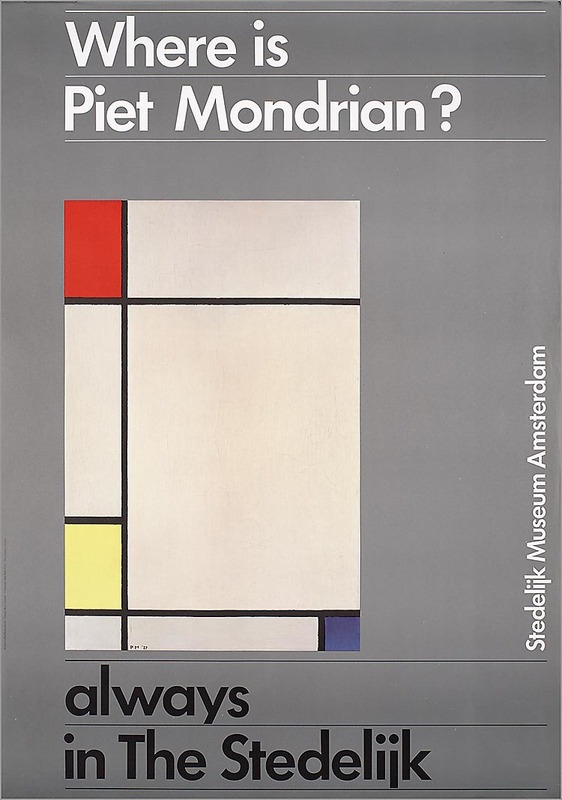 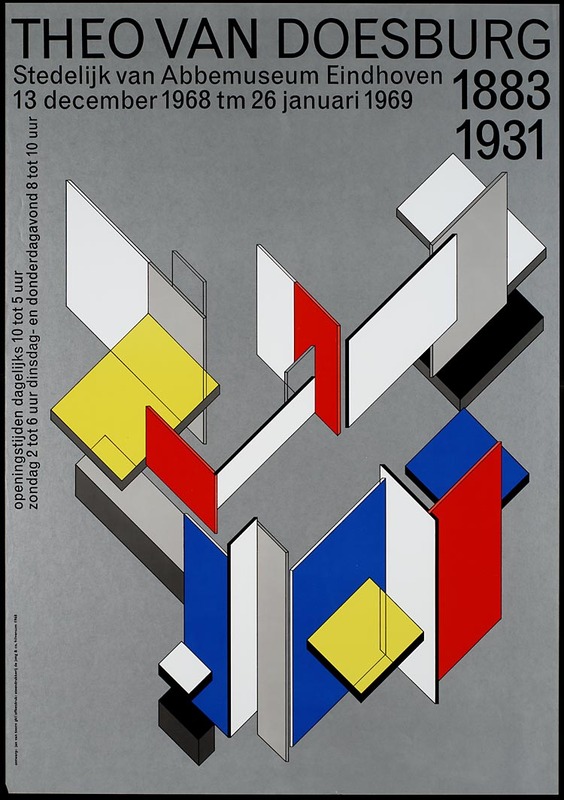 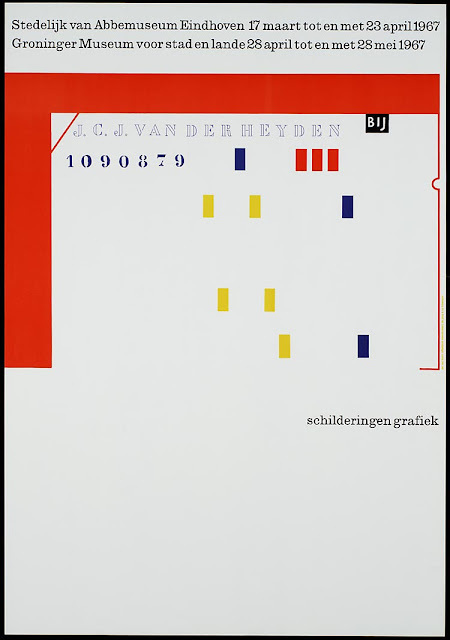 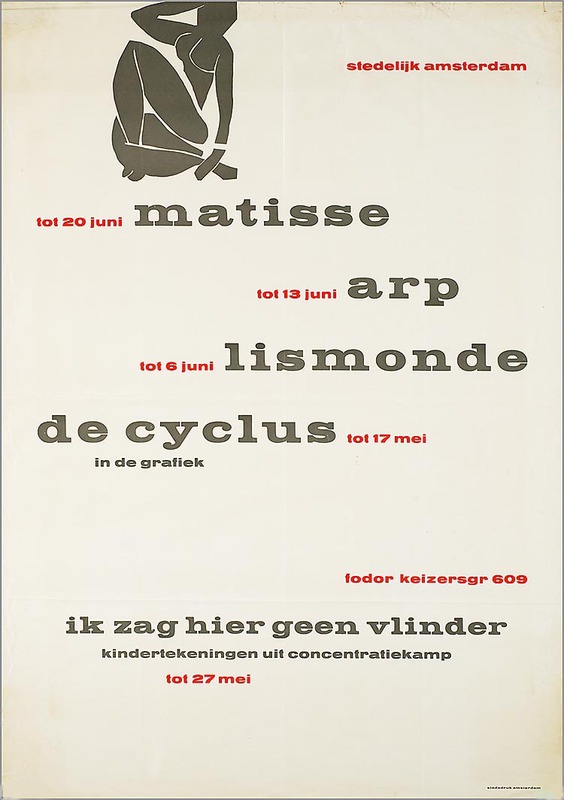 1975 Where is Piet Mondriaan?